Prom is a time in every teen’s life when boys and girls alike dress themselves to the nines and spend the night eating, dancing, and enjoying their final moments of high school together. The word prom originates from the "promenade," which in the past was the formal entrance of guests as they entered a party. During the early 19th century, the co-ed banquets held by American universities were the earliest form of prom in the United States. As the U.S. became more and more populated with teens, the advent of prom was yearned for by younger and younger generations. Later, parents and teachers thought that hosting formal dinner dances for high school aged teens would instill adequate social skills and etiquette, better preparing them for their soon-to-be adult lives. By the 1930's, proms were being held nationwide. They typically began with a banquet dinner, followed by dancing and performances by local bands. Up until the 1950's, proms were held in high school gyms. America's post-war economy was what pushed proms off of school grounds and out into the world of banquet halls, country clubs, and hotel ballrooms. Prom attendance peaked in the 1980s and continues to be a pinnacle event of everyone's high school career. · Harry Potter & The Goblet of Fire. The Yule Ball, a coveted tradition in wizard culture, was a time for witches and wizards to adorn their best dress robes and enjoy the company of their peers from the wizarding schools across the globe. This dance was held during the Tri-Wizard Tournament, which took place during Harry's fourth year of schooling at Hogwarts School of Witchcraft and Wizardry. We read in the books and see within the movie Harry, Ron and Hermione dressed to impress at their one and only prom-styled event. Their night is packed with all of the stereotypical drama you would expect to see at a prom - after all, it wouldn't be a formal dance if Hermione didn't end the night in tears, would it? · She's All That. You'd be the most respected person in your class if you got a celebrity to attend and guest DJ you prom like Usher did in She's All That. The graduating class of the Southern California high school does a well orchestrated synchronized dance, which could only happen in a late 90's coming-of-age tale like this one. Whether you're the jock or the girl-next-door turned prom queen, this iconic prom scene is definitely one to try and recreate. 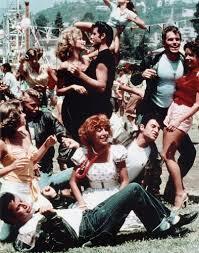 · Grease. While it's not quite prom at Rydell High, it's definitely a reason to dance! The school's dance is featured in an American Bandstand-style dance competition and Sandy, Danny and the gang do their best "Hand Jive" in an attempt to get noticed. This movie is an exemplary example of when and how high school dances became so popular throughout American culture. · Mean Girls. 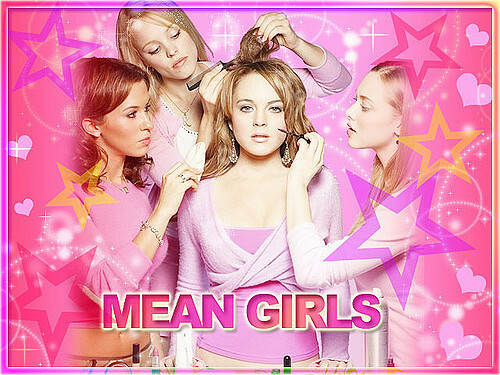 The epitome of a high school drama, Mean Girls gives us a closer look at the "mean girl culture" that can unfortunately be found in any and every high school. This iconic tale peaks at the Spring Fling, where Cady finally opens up and takes on the Plastics once and for all. If there were ever a right time to address the hate that purges your school, prom is the ideal time to address each and every one of your teachers and peers! · Twilight. Bella and Edwards gazebo dance was the kind of moment a high school teen could only dream about. The couple step into a stereotypical prom scene with bouncing teens and obnoxious music. Friends and passerby bid greetings to Bella, who is later swept off her feet and whisked away to a gazebo dotted with string lights and literally swept off of her feet as Edward twirls her around to the soft sounds of Iron & Wine. · It's A Wonderful Life. It's A Wonderful Life, the timeless Christmas tale that's about to be playing on television sets across the nation, might spark your brain to start thinking about the next prom season. Though this movie is packed to the brim with the meaning of the Christmas season, many people ignore the scene where a young Jimmy Stewart getting his groove on and falling into the school swimming pool with his date! · Footloose. A movie about dance based in a town that forbids dance. What could be better? The young hopefuls of the town fight to express themselves through dance and, thanks to a brawny Kevin Bacon, they're all able to let loose (see what we did there?) at the end and celebrate their victory at prom. · Carrie. Creepy, but still a movie that primarily focuses on the traditional American prom. Definitely not a prom you would want to attend, but if you're someone who has dreaded proms in the past, pop this movie in during the 2017 prom season and sympathize with our girl, Carrie. · Back To The Future. Super-cool Michael J. Fox commands the stage at the 1950-something prom of Whittier High School. While 2017 prom-goers probably won't be fending off advances from their parents in the parking lot, there's always the chance of a musically-inclined classmate hopping on stage and shredding on the guitar. Whether you want to try and recreate one of these well known prom moments or create new memories of your own, step it up next prom season. Whether you're wearing one of the many classy tuxedos out there or one of the stunning Prom Dresses 2017 fashion has to offer, Aim to be the best dressed at your prom.